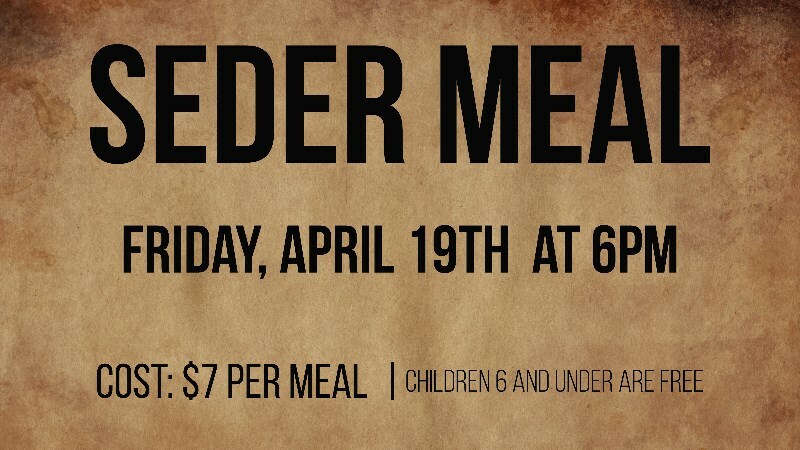 Join us Friday, April 19th for our Seder Meal led by Rabbi Dale Cohen. Rabbi Cohen will also lead a free, special teaching the afternoon of the 19th from 1:00 to 4:00pm. Click here to sign up for your tickets online or stop by the church from 9:00am to 12:00pm Monday through Friday. Tickets can be paid for with cash or check at the church or if you prefer to use a debit/credit card or e-check, use the form below.